When the immune system is imbalanced, either due to overly active cells or cells that suppress its function, it causes a wide range of diseases, from psoriasis to cancer. By manipulating the function of certain immune cells, called T cells, researchers could help restore the system’s balance and create new treatments to target these diseases. “Our findings could have a significant impact on the treatment of autoimmune diseases, as well as on stem cell and immuno-oncology therapies,” said Gladstone Senior Investigator Sheng Ding, PhD, who is also a professor of pharmaceutical chemistry at the University of California, San Francisco. 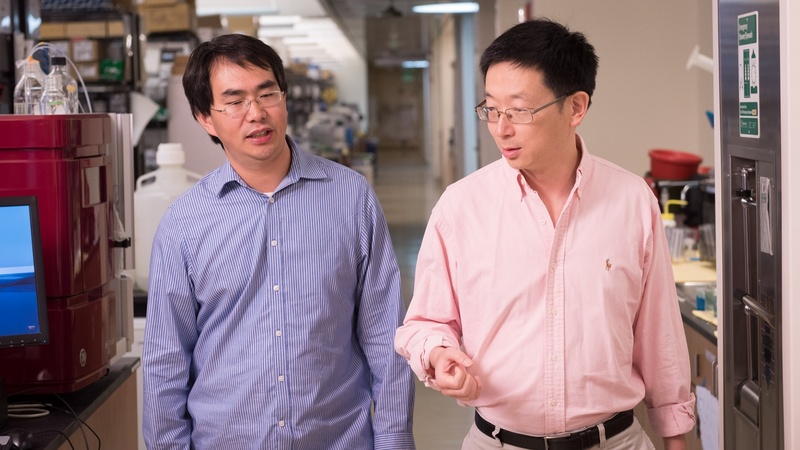 By drawing on their expertise in drug discovery, Ding’s team identified a small-molecule drug that can successfully reprogram effector T cells into regulatory T cells. Their study, published in the renowned journal Nature, describes in detail a metabolic mechanism that helps convert one cell type into another. This new approach to reprogram T cells could have several medical applications. For instance, in autoimmune disease, effector T cells are overly activated and cause damage to the body­­. Converting these cells into regulatory T cells could help reduce the hyperactivity and return balance to the immune system, thus treating the root of the disease. In addition, the study could improve therapies using stem cells. At least in theory, producing regulatory T cells could promote immune tolerance and prevent the body from rejecting newly transplanted cells. Many cancers take control of regulatory T cells to suppress the immune system, creating an environment where tumors can grow without being detected. In such cases, the team’s findings could be used to transform regulatory T cells into effector T cells to strengthen the immune system so it can better recognize and destroy cancer cells. This research was supported by the Gladstone Institutes. Other authors of this study include Katerina Akassoglou, Kai Liu, Min Xie, Jae Kyu Ryu, Ke Li, Tianhua Ma, Haixia Wang, Saiyong Zhu, Nan Cao, and Yu Zhang from the Gladstone Institutes; Edward M. Driggers, Kelly M. Stewart, and Dongwei Zhu from Agios Pharmaceuticals; and Chen Dong, Xiaohu Wang, and Lu Ni from Tsinghua University in China.